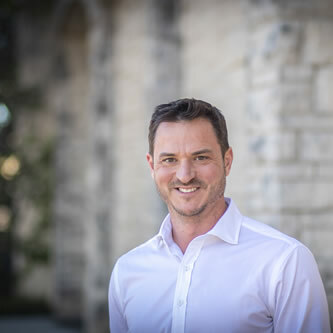 Jeramie Fortenberry, J.D., LL.M., is an attorney and legal product designer based in Austin, Texas. He has been practicing law since 2005. His practice focuses on meeting the needs of real estate owners and investors. Jeramie is a primary author of DeedClaim’s drafting platform. His law firm has prepared over 7,000 deeds for government agencies, businesses, and individuals across the United States. The document automation technology developed by his law firm allows him to handle high-volume deed orders with accuracy and efficiency. That same technology formed the basis of the DeedClaim drafting system. Jeramie also advises real estate owners in business matters, including taxation, mergers and acquisitions, choice of entity and company formation, and corporate governance. He has also been lead attorney on several multi-million dollar business acquisitions in the Southeast. Jeramie is admitted to practice in Florida (2005); Texas (2006); Mississippi (2005)(inactive); Alabama (2007)(inactive). Questions for Jeramie? Use the form below. I understand that submitting this Preliminary Consultation Request form does not obligate the attorney or anyone else to respond to this request. All responses are at the discretion of the attorney. I understand that DeedClaim is not a law firm and will not take anything said in any correspondence with this attorney or with DeedClaim to be legal advice or a sbustitute for talking to an attorney. I understand that contacting this attorney creates no attorney-client relationship. Unless I sign a separate engagement with the attorney for paid representation, I will not disclose any confidential information or rely on any advice given in these communications.